Move over arginine, because research has established supplemental citrulline, its precursor, as a superior ingredient for building endurance and delaying fatigue. For gym warriors and bodybuilders alike, citrulline at any time is involved in increasing the production of nitric oxide (blood vessel dilator) and removing ammonia (waste material of intense workouts) in the form of urea. Both these functions determine to a great deal your muscle growth and your level of endurance. Are you wondering how? 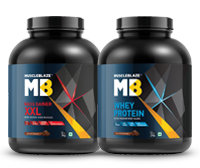 MuscleBlaze explores the intimate relationship between citrulline and muscle growth. Citrulline metabolises in the body to release L-Arginine and thereby it regulates the production of Nitric Oxide (NO). In the human body, NO is responsible for dilating the blood vessels. More blood begins to flow in the dilated blood vessels when you work out intensely in the gym, thereby producing the incredible pump effect in your muscle tissues, an aftereffect of citrulline working. Beyond the psychological and physiological stimulus, the muscle pumps are invaluable in growing your muscle size and strength. If you are wondering how, here goes the explanation: Each time you train intensely, your muscles produce waste products that pull water into your muscle tissues so that it can expel toxins. NO sends blood gushing to the muscle tissues. Since half of the blood content is composed of water, there is more water than the muscle cells can pull into them, resulting in incredible muscle pump. Naturally, such a pump is going to stretch your muscle cells, which in the long run leads to increased muscle growth by increasing muscle protein synthesis. Now, the obvious question is that if the larger chunk of benefits belongs to NO in the muscle building, then why should you not go for arginine directly? The answer is no because taking arginine is not equivalent to absorbing the same amount. Supplemental citrulline certainly has an edge over arginine and multiple scientific studies confirm the fact. Strength athletes recruit glycogen stored in muscles during their workout for energy. As glycogen stores deplete Hydrogen ions (H+) and lactic acid in the muscle, you begin to feel a burning sensation in the muscles. 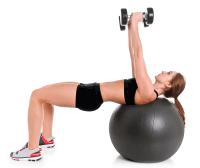 This quickens fatigue and you are not able to maintain your exercise intensity throughout your workout. The antidote to the fatigue is offered by bicarbonates, as they stimulate the removal of Hydrogen ions and lactic acid out of the muscle. Citrulline Malate aids in the reabsorption of bicarbonates thereby building endurance and delaying fatigue in the gym warrior. A study published in a 2002 issue of the "British Journal of Sports Medicine""found that 18 men who took 6g of citrulline malate daily for 15 days experienced increased energy and were able to work out for a longer duration without getting tired. Citrulline Malate is more potent than arginine in giving muscle pump, as it bypasses the intensive breakdown to which arginine is subjected to in the body. The presence of nitric oxide synthase (NOS) in the blood turns arginine into nitric oxide and citrulline. However, in the liver and intestines, another enzyme arginase is found and it converts arginine into ornithine and urea, thereby flushing it out of your body. Hence, research studies indicate lowered absorption of arginine. When you take citrulline malate instead of arginine, you skip the action of arginase which increases its presence in the NO cycle. Numerous scientific studies go on to prove that citrulline delivers greater muscle pump as compared to arginine. A study from German researchers has reported that it takes only half the amount of citrulline malate as compared to arginine to provide the similar blood concentration of NO. Arginine in a way inhibits the production of growth hormone (GH) but citrulline elevates growth hormone levels. Spanish researchers reported higher GH levels in athletes during exercise when they take supplemental citrulline malate beforehand. The increased amount of GH increases muscle gain and encourages greater fat burning during workouts. 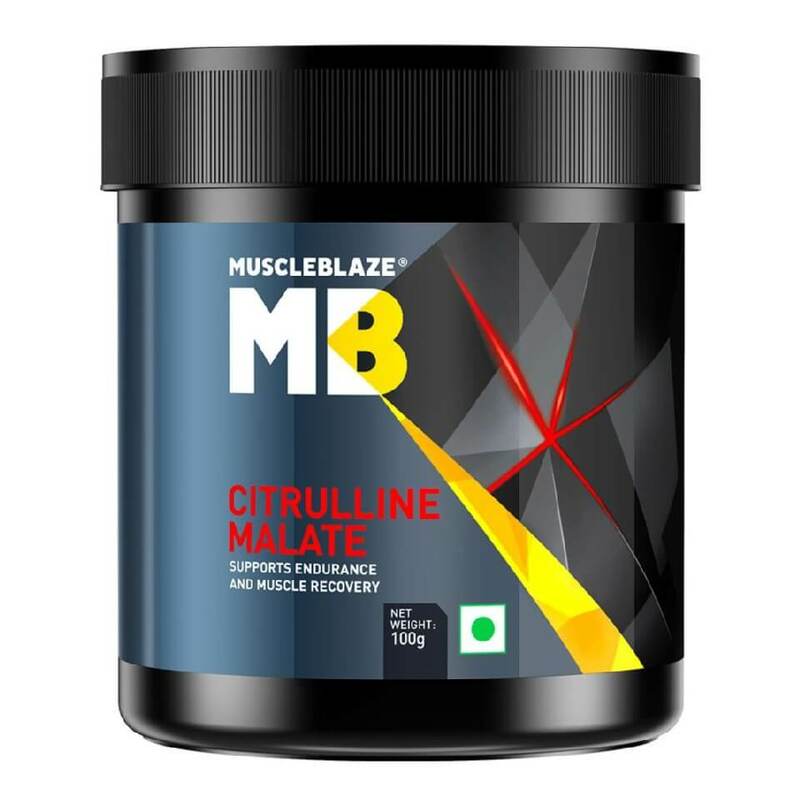 Bodybuilders and athletes take advantage of cttrulline malate to improve blood flow to their muscle tissues and speed up recovery. But, there are a few other uses too. Some take citrulline malate after exercise to recover from DOMS. Others will take citrulline malate before bed to increase nitric oxide that improves production of growth hormone while you sleep. Certainly, citrulline malate improves your muscle pump, improves fat burn and is a must have in your supplement arsenal.